Ian McKechnie is the Chief Executive Officer (CEO) of Engenamic, and Principal Advisor/Consultant. A registered Chartered Engineer [CEng] with the Engineering Council (UK). A registered International Professional Engineer [IntPE(SA)] on the International Register of Professional Engineers (South African section) of the International Professional Engineers Agreement (IPEA, previously known as the Engineers Mobility Forum (EMF)). A registered Professional Engineer [PrEng] with the Engineering Council of South Africa. A Fellow of the IET – Institution of Engineering and Technology [FIET]. A Fellow of the South African Academy of Engineering [FSAAE]. A Fellow of the South African Institute of Electrical Engineers [FSAIEE]. An Associate of the Association of Arbitrators (Southern Africa) [AAArb]. Ian is a Past President (2007/8 term) of the South African Institute of Electrical Engineers (SAIEE). He is a past Council Member of the Engineering Council of South Africa (ECSA), appointed by the Minister of Public Works (2009-2012 term). 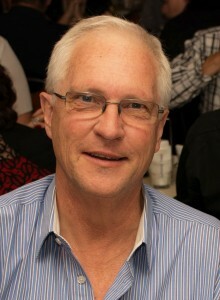 Ian is also the managing director of Engenamic Innopro & MWA. He holds an appointment as an Honorary Research Fellow at the University of the Witwatersrand. In addition to his advisory/consulting (including expert) services, Ian’s services are offered internationally as a mediator, adjudicator or expert determinator, and on dispute adjudication boards (such as DABs and DAABs) or other dispute resolution panels. He has a range of experience as a project consultant and project manager, both of conventional projects as well as public/private partnership (PPP) type projects (for example BOT projects). He has been responsible for pioneering work in Southern Africa in the application of public/private partnerships to technology-based projects, and has presented on this topic at various conferences as well as written related articles on the topic. Project strategy, structuring and planning, with a “bigger picture” perspective, is a particular interest and capability. In addition to projects in the electrical and electronic engineering fields, he also has experience of multi-disciplinary project consulting and management in engineering, industrial, infrastructure, environmental assessment and construction projects. He also has a range of experience in fields such as forensic engineering and consulting, dispute investigation and/or resolution support, and programme/project/engineering management & project/technical assessments, investigations and remediation, including as an expert consultant and witness. He also has experience as an adjudicator. He has a particular interest and expertise in various niche and specialised technical areas. In this respect he has also collaborated with Wits University over a period of many years in respect of research, applications engineering, and training, where he is also appointed as an Honorary Research Fellow. He also serves as a Research Advisor for the African Centres for Lightning and Electromagnetics (ACLENet). Other project/engineering experience has been in fields such as power/energy, communications, IT and S/W engineering, and electrical and electronic systems and infrastructure, including defence systems. Ian has gained extensive systems engineering experience during his career and is a firm proponent of the systems engineering philosophy. He is the author/co-author of numerous peer-reviewed papers, technical/project management articles and conference papers/presentations in SA and internationally. He is an experienced speaker, presenter and trainer.